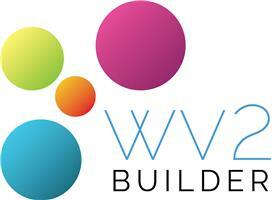 WV2 Builders - Builder based in Wolverhampton, West Midlands. WV2builders are a family business based in Wolverhampton. We joined checkatrade with our customer's recommendations to help other families find a reliable builder more locally. We are experts at loft conversions, extensions, alterations, remodelling properties, removing walls and installing steels. There is no job too large or small. Our prices are very competitive for smaller jobs requiring electricians, roofers, installing steels and heating as we employ all our own trades. one man bands and had to wait for electricians, plasterers, plumbers roofers to return there calls before they could complete their quote. Other builders had a very single perspective and seemed to offer no alternatives because they lacked the broader building expertise . Our hands on project manager we will attend within a half hour window. He is responsible for the day to day financing of your project and will use all his trade knowledge to give you an "accurate estimate the same day ". We generally spend as much time with you as you need, discussing your project in as much detail as you need. Customers are very grateful because it gives them an opportunity to reduce costs by using alternative ways of constructing. Sometimes when a customer is indifferent about an item of the project we can suggest a way which could save hundreds of pounds for them. Before leaving your project we will also leave you with a rough costing based on our knowledge. This is often very useful to the customer as it fends of other builders who are trying to test your budget. Our customers also found that this helped them to establish their budgets from the outset. If you decide to use our services we then give you an exact price within two days which tends to be cheaper than our original quote. This is possible because we tender your material cost to the best suppliers at the time. Once the work has started you make stage payments which have been agreed with yourself. We never ask for money in advance and normally your building is constructed before we have two thirds of the cost. We own all our trades so can accept full responsibility from day one. This also reduces our construction times drastically and ensures that we can respond to any changes efficiently. We are always working on two large jobs and will encourage you to speak to our current customer. Then you will find how punctual and efficiently our team is managed. They will tell you how we have surpassed all their expectations and with complete transparency. They will also tell you how much money we saved them by letting them use our discount cards to purchase kitchens, bathrooms, furniture and so forth. Our ability to finish work efficiently helps to drive your costs down.